I am offering for sale, or trade, multiple copies of these watercolor prints. 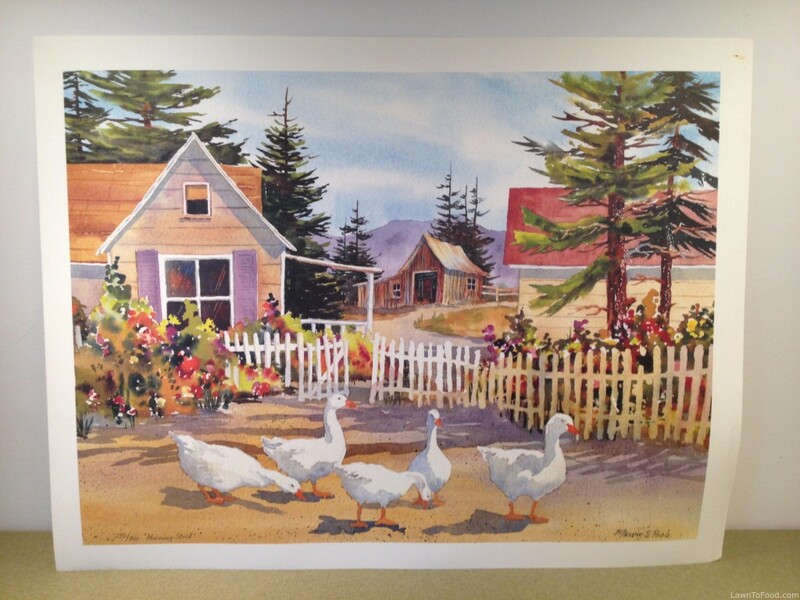 I have both original paintings created by my late step-father, Marvin Poole. Mom & Marvin lived on the 108 Ranch, near 100 Mile House, BC, where she taught elementary school and he painted in his home studio, overlooking Walker Valley. They were both avid home gardeners, creating bright, natural beds that blended into the Cariboo landscape. They also operated the Valley Gallery, in the lower floor of their log home, where Marvin’s paintings and local pottery were sold. Sadly, Marvin passed away in 1992 from cancer, at the age of 49. If you are interested in acquiring one, or more, of these prints please email me at lawntofood@shaw.ca I really want these pieces of art to be out where people can enjoy them, not wrapped up under the bed anymore. $10 each. 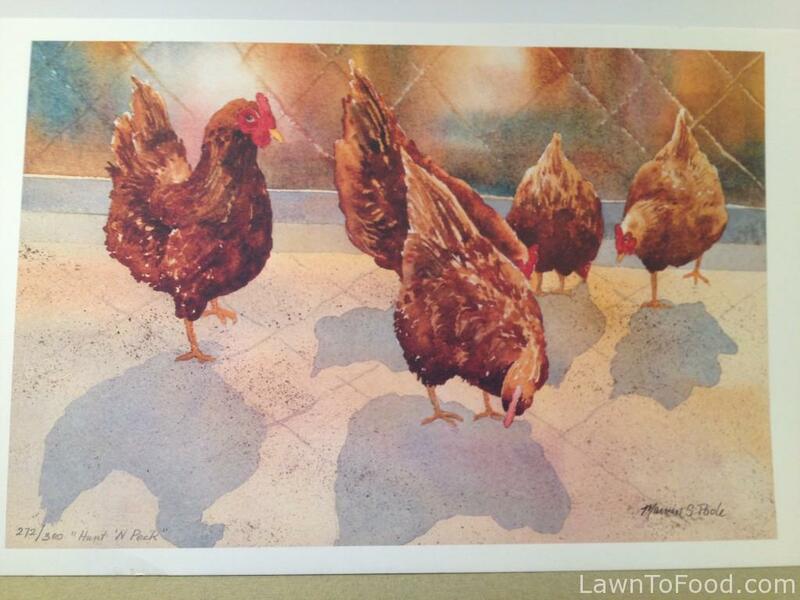 This entry was posted in Urban Farmstand and tagged art, barn, chickens, farm, geese, hens, paintings, watercolor, yard by Lynda. Bookmark the permalink.